The International Modern Movement style was largely established in Britain by a group of Russian and German émigré architects including Serge Chermayeff, Betholdt Lubetkin, Walter Gropius, Erich Mendelsohn and Marcel Breuer. They worked in collaboration with the leading British architects of the inter-war period and their Continental ideas were quickly adopted by many English architects. 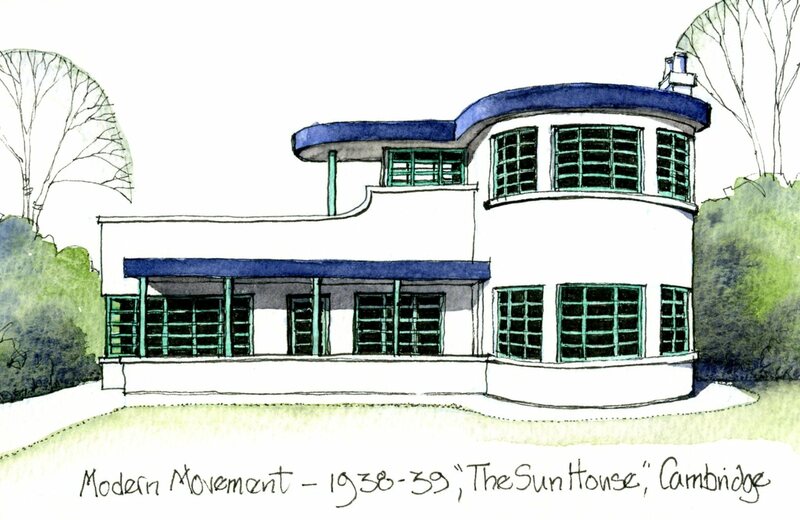 ‘The Sun House’ in Cambridge was designed by Mullett and Denton Smith for William Cairns and completed immediately prior to the outbreak of World War II in 1939. The house is listed Grade II.